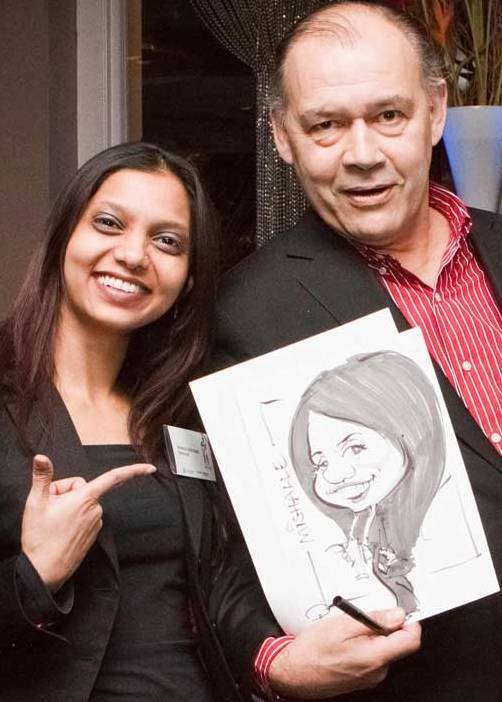 Paul Raymonde is an on-the-spot caricaturist. He can appear at weddings, parties and all kinds of business functions and draw charming, inoffensive and funny portraits of the guests as an entertainment and attraction. In this way they can also take home a personal memento of the occasion.